Do you need business ideas you can start with one hundred thousand naira (N100, 000), N80000 naira, N60000, N50000, N40000, N20000, or even ten thousand naira (N10000)? Are you looking for small business that you can invest less money and make big profit in Nigeria? There are such businesses and investment Opportunities in Nigeria and Africa in General that requires such less capital. Updated; February 2018: We have made some changes to this article. After another year of extensive research on small business ideas in Nigeria, we have further added additional most successful small business ideas in Nigeria; you can consider starting. They are all lucrative businesses in Nigeria if properly managed. Across the world, people are looking for small business they can do to meet up with their daily growing spending. With the world’s fast rising rate of unemployment, it has become paramount that every unemployed youth starts a business no matter how small the business might be at the starting point. According to McKinsey’s report in this year’s World Economic Forum held in Davos in which youth unemployment took centre stage; the report carries it that youth unemployment is growing in uncomfortable proportion. In India, which has one of the largest populations of young people in the world, 75 million youth are unemployed and more than 1 million people are added to the workforce each day. In Saudi Arabia, 70 per cent of the population is under the age of 30 and they are not finding jobs. In Nigeria, youth unemployment is as high as 50%. The number keeps increasing in geometric sequence. 75 per cent of university professors believe they are adequately preparing their students for the workforce. Conversely, only 40 per cent of employers take the same view. In most cases, it is not that those unemployed are not willing to start a business but their problem lies on finding the best business ideas to do with little capital they have at hand or were able to raise. So, if you are one of those that have little money like one hundred thousand naira (N100000), eight thousand naira (N80000), sixty thousand naira (N60000), fifty thousand naira (N50000), forty thousand naira (N40000), twenty thousand naira (N20000), even ten thousand naira (N10000) and the zeal to do business is in you; I have below a list of businesses you can start with such amount of money (N10, 000 –N100, 000 naira). Even if you don’t want to kick start immediately, you can prepare yourself to begin any of these businesses in 2018 or in the year to come. However, be aware that delay is dangerous; the earlier the better. What do you require to succeed in any of the business? Why will these less capital businesses thrive well in Africa especially Nigeria? Yes! Businesses started in a populous continent like Africa is bound to thrive very well. Africa is one of populated continent in the world with a 38 percent urban population, India (30 percent) and nearly as China (45 percent). 52 African cities have a population of more than one million people. Nigeria is Africa’s largest country by population. Lagos state alone record 17.5 million in population according to Lagos state government but latest report estimates the population at 21,642,797, making Lagos largest city in Africa and the seventh fastest growing city in the world. Kano as estimated by the Kano state government records 3,626,068 in population. Ibadan has a total population of 3,500,000 as of 2015; Abuja 3,000,000; Port-Harcourt 1,947,000 and so on. So with this high population in Nigerian cities and rural areas, businesses are bound to do very well if other things being equal. 50+ lucrative Online Business Ideas for Beginners with/without capital investment. You’ve read them, right! Let us proceed. I conducted an extensive research on different businesses and have come up with these couple of businesses you can start up with a range of capital of Ten Thousand Naira to one hundred thousand naira (N10, 000 – N100, 000). You can start these Businesses with One Hundred thousand naira (N100, 000) or less than one thousand naira depending on how big you wish to begin. A good location in a densely populated and accessible part of town with a competitive price and excellent customer service is essential to the success of this business. 2. Mini Importation business-Importation business is a very lucrative business and easy to start with as little as N10, 000 plus. Usually, you make profit on every sale and then keep increasing the business. However, to succeed in this business; you have to learn the dons and don’ts of the business. The internet has made everything easier to access. You can sit down at the comfort of your room and order for any product you want to sale. 3. Restaurant business-Most single young ladies and men of these days prefer eating at well decent restaurant where delicious food is being served. Restaurant business is a flourishing business especially in most cities like Lagos, Onitsha, Abuja, Port Harcourt, Aba, etc where people are highly busy that never find time to cook by themselves. The business is not capital intensive. With N70000 you can do this business. The two most important things necessary to succeed in this business are ability cook nicely and neatness. PROFITABLE PRODUCTION BUSINESS-one of the high paying business you can start in your locality is production business. One good thing about production business is that you can fix and control the market price for the goods or product you produce rather than totally being control by market forces of demand and supply. Usually, most production businesses are capital intensive because costly machines employed in production. Starting production business can cost one as high as N300000, N500000, N1000000, and N200000, N750000, and N2000000+ depending on product you intend producing. However, you can still start some production business with capital as low as N100, 000. 5. Fresh fruit juice production-The Fresh fruit juice production business is one of the profitable small businesses in Nigeria that is often neglected. The business sells fast most in highly populated cites like Lagos, Anambra, Port Harcourt, Abuja, Aba, Kano etc. Fruit juices are serve cold in filling station, hotels etc. So, outside the cost of buying freezer and power plant (Generator), you can start fresh fruit juice production with amount as low as N10000; N20000; N30000; N50000. 7. Palm oil milling and processing business – Commercial palm oil milling and processing may required up-to a startup capital of 400000. 8. Rice milling – Rice milling is a rural and sub-urban lucrative agricultural business. New technology and cost of machine for milling rice has drastically affected the start-up capital of this business. With the latest technology in rice milling, starting rice milling business can cost as high as N250000 to N750000. 9. Small scale fish fingerling-Fish Fingerling is easy to start especially where there is availability of water supply. With the sum of N90, 000 to N80, 000 one can set up a small scale fish fingerling. In this business, you can be making over 100% returns but it requires care and monitory. Good water ph and climate conditions are necessary for the success of this business. 10. Snail farming–Snail farming is not difficult to start and you don’t need up to N100, 000 Naira to start this business. With 50K to 80K, you can start snail farming in your locality. Snail is very expensive in the restaurants and hotels where they serve. So, after you finish rearing set of snail, you can always take them to restaurants and hotels for sale. Snail is a hot market and a market for high class people. 11. Boiler poultry farming-This is one of the easiest businesses to start with little money. With N20, 000+ you can do this business. The business does not does not require skill. The major thing you needed in this business is availability of space and water supply. Day old chicken (boiler) may cost N150/each, so you can with 50 chickens which cost a total of N7500. In less than 9 weeks, you can start selling these birds at the rate of N1800 to N2000 naira per each. However, bear in mind that this business is seasonal although it can done at all time. 12. Dog breeding-In certain northern part of Nigeria like JOS and southern part of the Nigeria, dog breeding business is thriving very well. Some people breed the dogs for meat (popularly called 404) and others for pet purposes. The business is a lucrative one. With seventy thousand naira (N70, 000), you can buy a female English dog and breed. When the dog delivers, it can give birth to seven…eight puppies which you can sell at the rate of seventy thousand naira each. The major cost you will incur in this business is in feeding of the dog. You have to be dog friendly for you to be able to do this business. 13. Small scale piggery farming-Piggery farming is one the oldest lucrative business. Some people in the northern part of Nigeria, especially those with cold weather consume pork meat so much. You can start piggery farming with N60000+ and sometimes you need to employ an assistant. 14. 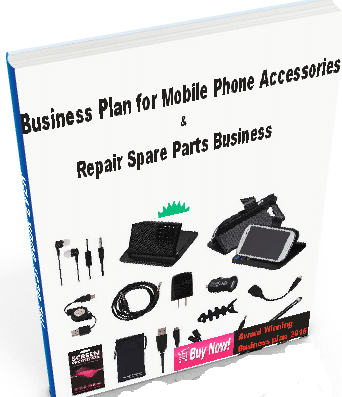 Mobile phone accessories business-Mobile phones accessories business is lucrative business. We have millions of GSM users. Mobile phones like Nokia product, Samsung product, Sony Ericsson product, Blackberry, Techno, and other smart phones; their repair parts and accessories are readily available in the market. A total capital of $ 120 (N20000) will be enough to start the business in a small scale however if you are to start the business in more large scale, the cost of starting may increase. 15. Computer parts and repair business-skills on computer hardware repair and software troubleshooting are required in this business. You can easily acquire this skill or knowledge by attaching yourself to an experience computer hardware and software repair expert before you starting your own computer repair business. Usually, starting this business will not cost you up to N80000 and you can make big time when you become so popular. 16. Mini Business centre-mini Business centre is a highly lucrative business especially when cited in within tertiary institutions like universities, polytechnics and colleges or around these institutions. A set of desktop computer at the cost of N25000, one three in one photocopying machine (Scanning, printing and photocopying machine) at cost of N60000, tables and chairs are enough to start this business. Snacks with soft drinks and few provisions are added to make it business, a mini business centre. So, a total amount of one hundred thousand naira is enough to start this business. Fast selling business – Most fast selling business are best started small and then grow later. This allow for testing varieties of products before settling with high profit yielding ones. Ladies wears and babies wears has proven to be lucrative and fast moving product to sell in Nigeria. Okirika Ladies and Babies wears are also in this category of business. I have written article on top 10 part time online businesses; these are all internet based Businesses. Many of the businesses there require less capital start up as low as N10000. You can chose from that list of internet businesses to start today. I wish you all the best of luck as you set to start up any of the above businesses that requires one hundred thousand naira N100, 000 or less than 100K. Looking at the present economic situation of the country, you need to save more money for a business. Your write up is awesome! I love also your maturity in handling responses. However, I noticed that you were advertising sells of importation business book for #5000 to #4500. My advice, stick to: the book on that will soon be published. So as not to misguide your followers, until the publication is complete and price known. Remember, you already have a global audience. I like to do publication on Google, can you guide me on this? I want to go into online sales of jewelries. I am based in warri, Am thinking of going to a popular market in Lagos to get the items for a start. Do you think is a good idea? I am planning on how to set up a computer biz center, but only store rent will eat up 150k, generator 150k, one computer 30k, one copier bizhub konical Minolta 100k, scanner 25k, 3 plastic chains 8.5k, desk 20k, printer 60k, laminator machine 15k. Almost 600k to start up the business, as time goes on, I can be buying more tools and add to it. but the money at hand now is just 176k. I am weak because I don’t know where to start from. I like and I understand computer business. Please give me more idea on how to manage the money and start it up. shop owners are ready to swallow up the money. The truth is that 176K will not be enough to start it. You need to save more money for it. Cat fish farming has really being on the increase of recent. It is a lovely business to go into. I plan on going into it now that I’ve gotten some money. How can I get a feasibility study? If you need a feasibility study on Cat fish farming, we can help you on that. You need to undergo training on perfume and soap production.